security to even the smallest exhibits. No more need to be attached directly to the secured object. Modern and comfortable, the system operates absolutely contactless and wireless. Optimized technologies make the transmission secure and interference-free. The wireless range can extend easily through several floors. or touch and trigger an immediate alarm signal. Small deviations in temperature or humidity can be detected and result in a message being transmitted. This can protect the secured object from environmental damage. Small, light, compact, uncomplicated and most important: Absolutely reliable. Immerse yourself in the world of NOX TXO and discover the benefits of the Worlds most advanced security system. Here is a small taste of its great advantages. 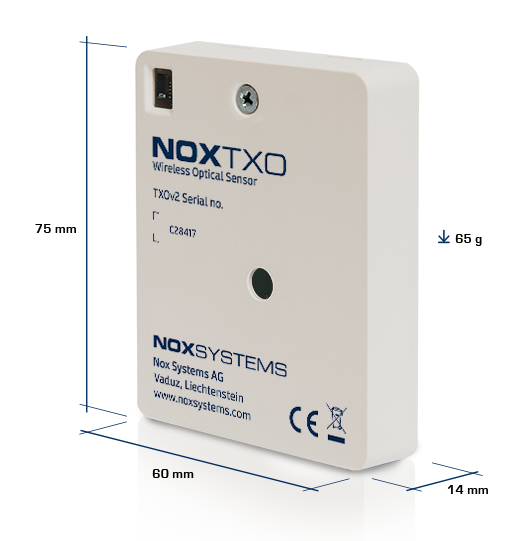 As a system manufacturer, NOX Systems offers a comprehensive range of models in the field of Security electronics. In many countries, our systems are certified to the highest Security Standards. Through our own development and production of components, we have reached a quality which exceeds all standards. Welcome to the new era of security systems. Follow the development of NOX TXO and sign up for our newsletter.